Kolhapur was the seat of Rani Tarabai, the dowager queen and widow of Chatrapati Rajaram Maharaj and their young son (who was all of ten years of age), Shivaji II. After her failure to check the ascension of Chatrapati Shahu on the Maratha throne, she retired to the principality of Kolhapur, from where she ruled along with Shivaji II, whereas her nephew, Shahu (son of Sambhaji the step-brother of Rajaram and the prior Chatrapati), ruled the greater Maratha dominions from Satara. Shivaji II (ruled 1700-1712) was the son of Chatrapati Rajaram and Rani Tarabai, and was the first king of Kolhapur. He was installed on the throne at Vishalgad, on 10 March 1700. Reigned under the regency of his mother until 12 October 1707. He became raja of the separate state of Kolhapur in 1710. Deposed on 2 August 1714. He died young, in 1712, of smallpox while in confinement at Panhala. Sambhaji II (1712-1760) was the second son of Rajaram from another wife, Rajasabai. He succeeded to the Kolhapur throne (bearing allegiance to the Satara throne) after Rani Tarabai was imprisoned by Rajasabai (Shivaji II's natural mother) and a coterie of ministers. He was initially supported by Shahu and his Peshwa. But his conspiracies in collaboration with Nizam Chin Quli Khan against Shahu (over territorial disputes) earned him Shahu's wrath. Shahu's armies defeated Sambhaji and forced on him a treaty in 1730, by which Sambhaji II was forced to give up all territories north of the River Warna. His sovereignty was now acknowledged over the tract of country lying between the rivers Warna and Krishna on the north and north-east and the River Tungbhadra to the south, and over the part of the Konkan between Salsi and Ankola. He died at Vadgaon on 18 December 1760. His only issue being a daughter, a son was adopted to succeed him to the throne of Kolhapur. Shivaji III (1760-1812) was the adopted son and successor of Sambhaji II (Jijabai, the widow of Sambhaji II, acted as his regent). His biological father was Shahaji Bhosale of Khanwat (a kinsman). The Kolhapur court, led by Jijabai (Shivaji III was a minor then), had continued its hobnobbing with the Nizam, which irritated the Peshwa so that he dispossessed Shivaji III of his territories of Chikodi and Manoli, which he handed over to his knight, Patwardhans of Sangli. Piracy had also increased in the Kolhapur kingdom. There were pirates from Malwan and Sawantwadi constantly looting merchant ships. To counter them, the English East India Company sent out a naval expedition which captured Fort Malwan (otherwise known as Fort Augustus). It was later handed back to Kolhapur in return for a sum of 382,896 rupees. The English were also given rights to set up a factory in Malwan. 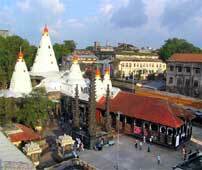 There were unconfirmed reports of human sacrifices in Kolhapur at the temple of the goddess Kali. When the regent, Jijabai, died in 1772, Shivaji III was still a minor. The kingdom was left vulnerable to attack by the Peshwa's troops and also from raids by the Patwardhan Kannherrao Trimbak and Pant Pratinidhi of Aundh. The Kagal, Bavda, and Vishalgad regions also rose in revolt (in 1777) at the instigation of Peshwa Madhavrao. 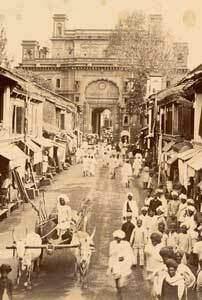 This is when Kolhapur, led by one of its sardars, Yeshwantrao Shinde, sought the help of Hyder Ali of Mysore against the Peshwas. They drove out the Peshwa's troops from Chikodi and Manoli. But the Peshwa came down heavily on Kolhapur, dispatching a large army which was led by Mahadji Shinde against them. Chikodi and Manoli had to be ceded back to the Peshwa as a result. Sawantwadi also rose in rebellion against Kolhapur, over a dispute concerning rights over villages claimed by both sides. Yeshwantrao Shinde also died in 1782. This is when other sardars such as Ratnakar pant, Chavan, and the king himself, Shivaji III, personally led an attack against Sawantwadi and quelled the revolt. There was also an successful revolt by Pawangad Gadkaris at the instigation of the Sardesai of Sawantwadi. The Kolhapur armies then punished Sawantwadi for this misbehaviour and Sawantwadi was forced to pay a tribute of 150,000 rupees to Kolhapur. Meanwhile, piracy resurfaced and the English contemplated an attack on Kolhapur. Shivaji III the sought the help of Tipu Sultan of Mysore. Eventually a treaty was concluded between Kolhapur and the English in 1792. But the treaty proved short-lived and the English took away Kolhapur's the maritime possessions. Meanwhile, Parshuram Bhau Patwardhan started a revolt against Kolhapur. Though his army was defeated at Alta (his son Ramchandra was captured), peace was proposed between them, but this was short-lived as Patwardhan laid siege again to Kolhapur, and this was lifted only after a payment by Shivaji III of 300,000 rupees. Later taking advantage of the confusion prevailing in Maharashtra after the death of Peshwa Sawai Madhavrao, Shivaji III took Bhudargad from Parshuram Bhau Patwardhan. He also repossessed Chikodi and Manoli. Meanwhile, the Satara raja and Shivaji III agreed an alliance so that they could throw of the yoke of the Peshwas of Poona. Parshurambhau supported the Peshwas troops (the new Peshwa, Bajirao II, and Nana Phadanvis were at the helm of affairs at this time). Parshurambhau was killed in a skirmish with the Kolhapur troops in 1799 at Pathankudi village, Chikodi. His son, Ramchandra, tried to attack Kolhapur, but his armies were defeated. Hostilities between Kolhapur and its enemies (Sawantwadi, Nipani, and Poona) continued until the death of Shivaji III in 1812. He had three sons and six daughters. The eldest, Sambhaji III (Shambhu raje), succeeded him. Shambhuji (1812-1821), also known as Abasaheb, was the eldest son and successor of Shivaji III. He tried restoring law and order to the kingdom, and sided with the British against the Peshwas, for which he was re-granted the possessions of Chikodi and Manoli. Shambhu raje was, however, shot dead after a heated exchange with the Mohites (specifically, a Karad sardar), over a land dispute. He left behind an infant son, named Shivaji. But he too died early after catching chicken pox and following a reign of just a few months under the regency of his uncle, Shahaji. Shahaji (1821-1837), also known as Buvasaheb, was the brother and successor of Shambhu raje (technically, he succeeded his nephew, Shivaji, who was king for a few months under his regency). He was said to be a wild and reckless king, and always had to be kept in check by the English residents. 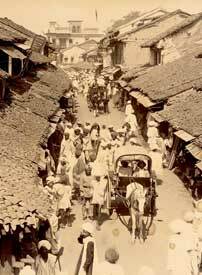 He was also rumoured to harbour bands of highway robbers and the state of Kolhapur always lived in fear and apprehension during his rule. He died of cholera in 1837, leaving behind three sons and two daughters. Shivaji IV (1837-1866) was the son and successor of Shahaji. He being a minor, his aunt became his regent. The British also appointed a minister in the kingdom by the name of Daji Krishna Pandit. But the minister being a Brahmin and because of his unpopular measures while disciplining his Maratha officers, triggered a rebellion in the state (1844). Daji Pandit was imprisoned by the rebels, but the British came to his rescue and he was reinstated. There was also a British superintendent, Captain D C Graham, appointed to look after the administration of the state. There was another revolt in 1857 (following the mutiny). The king himself remained loyal to the British, but his brother, Chima Sahib, sided with the rebels. After the rebellion was quelled, Chima Sahib was charged with treason and Shivaji IV was honoured by the British with the 'Order of the Star of India'. He was also granted with a sanad for adoption. After 1862, Shivaji IV was also given more administrative powers by the British. Rajaram I (1866-1870) was the adopted son and successor of Shivaji IV. Born Nagojirao Patankar, a son of Shivaji IV's eldest sister, he died early while visiting Europe. His remains were burnt according to the rites of the Hindu religion on the banks of the Arno (in Florence in Italy), at a spot beyond the Cascini, now marked by a statue bearing his likeness. The ashes were later immersed in the Ganges. Shivaji V (1870-1883), also known as Narayanrao (son of Dinkarao Bhosale, a kinsman) was the adopted son of Rajaram II's widow. He went insane and died soon after (apparently during a scuffle with his attendant, one Private Green). In March 1882 under a government resolution the affairs of the Kolhapur administration were transferred to a regency council. The regent, being the chief of Kagal, was assisted by a council of three members; the diwan, the chief judge, and the chief revenue officer. Note: The Kolhapur state had eleven vassals; Pant Pratinidhi (chief of Vishalgad), Pant Amatya (chief of Bavda), Senapati (chief of Kapshi), Sarjerav Vajarat Mab (chief of Kagal), Ghorpade (chief of Ichalkaranji), Sena Khaskhel (chief of Torgal), Amir-ul-Umrav (chief of Datvad), Himmat Bahadur, (Sarjerav Deshmukh of Kagal), Sar Lashkar Bahadur, and Patankar. 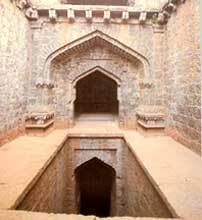 The most prominent amongst the vassals were the chiefs of Vishalgad, Bavda, Kagal, and Ichalkaranji. The chief of Vishalgad, styled Pant Pratinidhi, was a Deshastha Brahmin and his family name was Jaykar. His headquarters were at Malkapur, twenty-eight miles north-west of Kolhapur. The chief of Bavda, styled Pant Amatya, was a Deshastha Brahmin and his family name was Bhadanekar. He used to reside at Kolhapur. The chief of Kagal, styled Sarjerav Vajarat Mab, was a Maratha by caste and his family name was Ghatge. He used to reside at Kolhapur. The chief of Ichalkaranji, styled Ghorpade, was a Konkanasth Brahman and his family name was Joshi. His headquarters were at Ichalkaranji, about eighteen miles east of Kolhapur. He was a first class sardar of the British government for rank and precedence only and had subsequently been permitted to pay a separate visit to the head of the government (source: Kolhapur Gazeteer). Shahu IV (1884-1922) was from the Ghatge family of Kagal (adopted by Anandibai, the widow of Shivaji V). The British appointed a council of regents to assist him, and he was trained in administration by one Sir Stuart Fraser, and given partial administrative powers in 1894. Shahu IV proved to be an excellent administrator and a great social reformer. Shahu Maharaj encouraged education in his state, subsidising it for the poor and for girls. He encouraged widows to remarry, which was considered a taboo. He stopped the practice of child marriages as well, created employment schemes for the poor, and urged several non-Brahmin youths to take up the priesthood, much to the chagrin of the local Brahmins of Kolhapur. He patronised the reformist Satya Shodhak Samaj and later the Arya Samaj. Shahu Maharaj was also responsible for the construction of Radhanagari Dam (1935) in Kolhapur, thereby ushering in agricultural prosperity for the kingdom. He founded the Shahu Vedic school, the Shivaji Memorial Institute, the Shahu cloth mill, and the Jaysingpur trading market. Shahu Maharaj was also an patron of wrestling (he himself was a wrestler), which to this day has been very popular in Kolhapur. Shahu Maharaj and his wife, Laxmibai (from the family of the Khanvilkars of Baroda), had four sons. Rajaram II was the eldest of these and the heir apparent, while daughter Radhabai (Akkasaheb) Puar became the queen of Dewas (married to Tukoji III, maharaja of Dewas). Her son, Vikramsingh Puor (maharaja of Dewas from 1937-1947) later inherited the Kolhapur legacy as Shahoji II (1947-1983). Shahu's other offspring were Maharajkumar Shivaji and Rajkumari Aubai (who died young). Shahu IV proved to be a benevolent king and a visionary, striving for the betterment of his populace. Indeed, he was a rarity amongst the princes of those times. He died at Shalini Palace, Rankala, Kolhapur on 6 May 1922. 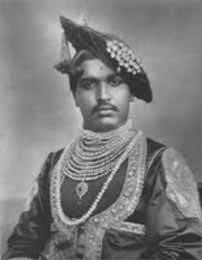 Rajaram II (ruled 1922-1940, born 1897, died 1940) was the son and successor of Shahu IV. He was also a reformist. He built the Kolhapur High Court along with many housing colonies, made female education free, modernised the water supply systems, and established Kolhapur's municipal authority and a local panchayat system. Since he had a daughter the Kolhapur throne passed on to a distant relative named Shivaji V.
Shivaji VI (1941-1946) was from the Satara main branch of the Maratha royal family. He was made successor to Rajaram II, but he died young in 1946. Shahoji II (1947-1983), also known as Maharaja Vikramsingh Puor of Dewas. He was the son of Radhabai, the daughter of Shahu IV. He was also a commissioned second lieutenant in the Maratha Light Infantry, and distinguished himself in the war in Africa, earning himself a knighthood. He retired with the rank of major and returned to Dewas, where he was crowned king after his father Tukoji III abdicated the throne and fled to Pondicherry. Shahoji abdicated the Dewas throne for his son, Krishnajirao III, and accepted the Kolhapur throne. 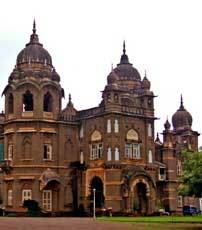 On 1 March 1949, the princely state of Kolhapur was merged into the Bombay presidency. Sir Shahaji became a major-general in the Indian Army in 1962, but in 1971 he was stripped of his rank, titles and stipends as part of the mass removal of royal titles and prestige under the Indira Gandhi (Congress) regime, along with abolition of the privy purse to the royals. Shahoji died in 1983. Shahoji II was succeeded by his grandson, Shahu II (born 1948), the present Maharaja.